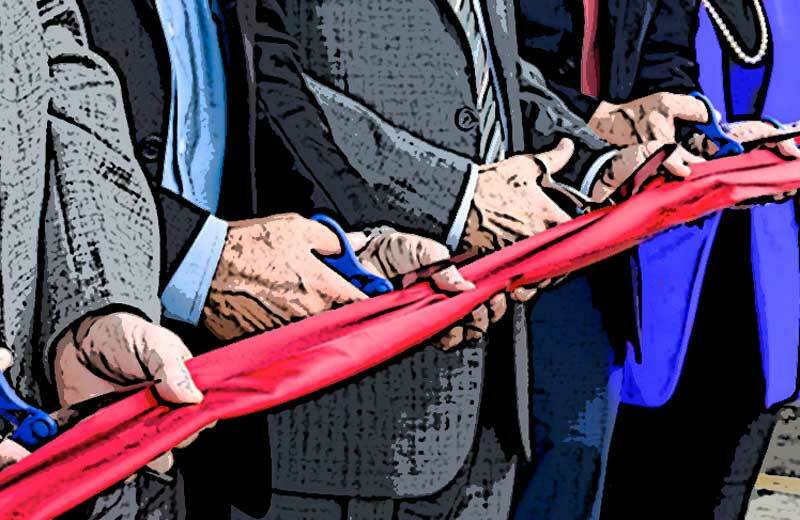 So many ribbons were cut, celebrating the opening of new businesses in Maryland, that “Philip Kapneck” and “Ribbon Cutting” are still often mentioned in the same breath. Maryland companies large and small love the symbolism of the special event to celebrate their effort. Ribbon cutting ceremonies were Ambassador Philip Kapneck’s trademark in the Maryland business world. Ribbon cuttings introduce companies and people to a new area. This is good for the new business and existing business are introduced to the new owners who can learn about introducing their customers to a non-competitive business. Even in difficult times, the Maryland Department of Business and Economic Development, and Trade Ambassador Philip Kapneck, brought great results. In 2009-2010, 14 foreign-owned companies with up to 250 new jobs started up through Maryland’s efforts. An additional 225 new jobs came from US companies that moved, expanded, or set up in the State. One of those ribbon cuttings was held at the University of Maryland, in College Park, MD. The Ribbon Cutting Ceremony was held at the Capital One Field at Byrd Stadium, to celebrate the new luxury in-seat delivery service at Capital One Field at Byrd Stadium. The venture was set up to create hundreds of local jobs. At that Ribbon Cutting ceremony, Michael T. Jobe, President & CEO of First Down Mobile, LLC celebrated with Philip Kapneck, Maryland Trade Ambassador; Robert Walker, Assistant Secretary of Business and Economic Development for the State of Maryland; Stanley Goldstein and former President of the University of Maryland Terrapin Club. Now, in places all over the USA, Chambers of Commerce use ribbon cuttings for many purposes, including to give new businesses a kickstart. The Chambers leverage off the ideas Philip Kapneck pioneered more than 40 years ago. In the past few months, among many others, there were ribbon-cutting ceremonies for Weis Markets supermarket in Baltimore’s Fullerton Plaza shopping center, AHF Wellness Center in Temple Hills, The Fannie Angelos Cell Therapy Lab at UMD, Anne Arundel Dermatology in Westminster, and the St. Mary’s County Airport technology incubator.